The European Association for Palliative Care (EAPC) Social Media Team are delighted to announce the most-viewed posts published on the EAPC Blog in the first half of 2017. Last year, we were delighted to welcome yet more great contributions to enrich the quality and diversity of the EAPC Blog. Our authors came from far and wide: from 26 countries across every continent. Thanks to them the EAPC Blog is highly regarded and valued as a tool to disseminate research findings, journal articles and personal perspectives on palliative and hospice care in Europe and beyond. Our readers have helped us once again by indicating what they liked best in 2017. So, based on the viewing statistics for the first six months of 2017, we are delighted to announce below the winners of the Top Ten most-viewed posts. Viewing statistics are cumulative throughout the year; thus, to ensure that posts published in the last part of the year are not unfairly disadvantaged, we will publish the Top Ten most-viewed posts from July to December 2017 later this year. Contributors to our most-viewed posts in 2017. 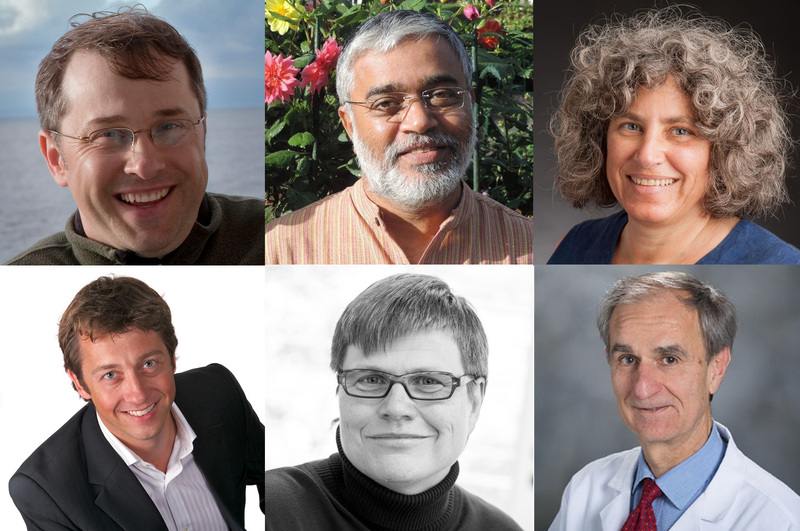 Top row, left to right: Richard Sawatzky, Suresh Kumar and Robin Cohen. Bottom row, left to right: Shane Sinclair, Gerhild Becker and Eduardo Bruera. Robin Cohen, Professor, McGill Departments of Oncology and Medicine and Staff Investigator, Lady Davis Research Institute, Montreal, and Richard Sawatzky, Canada Research Chair in Patient-Reported Outcomes and Associate Professor, School of Nursing, Trinity Western University, Canada. Shane Sinclair PhD, Associate Professor, Cancer Care Research Professorship, Faculty of Nursing, University of Calgary, Canada. Professor Gerhild Becker, Chair of the Department of Palliative Care, University Medical Center Freiburg, Germany. Dr Suresh Kumar, Director of the WHO Collaborating Center for Community Participation in Palliative Care and Long Term Care & Technical Advisor, Institute of Palliative Medicine, Calicut, Kerala, India. Eduardo Bruera, Professor and FT McGraw Chair in the Treatment of Cancer, The University of Texas MD Anderson Cancer Centre, USA. Claudia Bausewein, Steffen Simon, Raymond Voltz and Miguel Julião. Professor Claudia Bausewein Director of the Department of Palliative Medicine, Munich University Hospital, Dr. Steffen Simon, Consultant in Palliative Medicine and Internal Medicine, the Center of Palliative Medicine and Clinical Trials Unit, University Hospital Cologne, and Professor Raymond Voltz, Director of the Center of Palliative Medicine, the University Hospital Cologne, Germany. Dignity and other lessons from Portuguese clinical research – An interview with Dr Miguel Julião winner of the EAPC Clinical Impact Award. Dr Miguel Julião is a visiting professor to the School of Medicine, University of Minho, Braga, Portugal. Scott A Murray, Sébastien Moine, Jordi Amblàs-Novellas and Kirsty Boyd. Scott A Murray, Sébastien Moine, Jordi Amblàs-Novellas and Kirsty Boyd, members of the EAPC Primary Care Reference Group. Julie Ling, CEO of the European Association for Palliative Care, and Sheila Payne, Emeritus Professor, International Observatory on End of Life Care, Lancaster University, UK. Dr Jonathan Koffman, Reader in Palliative Care and MSc Course Director, Cicely Saunders Institute, King’s College London, UK. Left to right: Julie Ling, Jonathan Koffman and Sheila Payne. We are delighted to announce that Hayward Medical Communications, publisher of the European Journal of Palliative Care, has kindly offered a prize of a one-year online personal subscription to the overall winner of the most-viewed post in 2017. The overall winner will be announced in July. Who reads the EAPC Blog? We’re proud to have a truly global audience. Viewing statistics show a consistent geographical spread reinforcing that the EAPC’s role is recognised globally. In 2017, our followers came from a total of 184 countries: 53 per cent of views came from Europe; 21 per cent from North America; 10 per cent from Asia; eight per cent from Latin America; six per cent from Oceania, and two per cent from Africa. Who contributes to the EAPC Blog? Our contributors are part of a huge band of talented bloggers: academics, health and social care professionals, healthcare economists, students, creative therapists, advocacy consultants and more. Last year, we published 118 blog posts – 73 per cent came from Europe and 27 per cent from Africa, Asia, North America, Latin America, Australia and New Zealand. Congratulations and thanks to the authors of the above posts, and to all those who have contributed to our blog during the past six years. Whether you have written a post, commented on it, ‘liked’ or shared, you have all played an important part in our story. Your involvement and support enable the EAPC to disseminate high-quality information and research and to play its part in the global hospice and palliative care community. We really want, and value, your involvement – if you’d like to contribute in any way please follow the links below. To contribute to the EAPC Blog, please check the Contributor’s Guidelines or email Avril Jackson. To sign up to receive an email each time we publish a post on the blog, click here. This entry was posted in EAPC ACTIVITIES, SOCIAL MEDIA and tagged EAPC Blog. Bookmark the permalink.